GAZA, (PIC)– Senior Hamas official Ismail Radwan on Friday strongly denounced the smear campaign waged by mosque preachers affiliated with the Palestinian Authority (PA) in Ramallah against Sheikh Yousuf Al-Qaradawi, affirming the West Bank people rejected this campaign and expressed their solidarity with the Sheikh. “Our people in the West Bank proved they disown this scum who tried to discredit Sheikh Qaradawi and the resistance because any attempt to target the Sheikh is considered an attack against Jerusalem and the resistance,” Radwan underlined. He added that this vicious and malicious attack by the PA against Sheikh Qaradawi coincided with Israel’s decision to put him on its hit list because of his positions in support of Jerusalem and the Palestinian resistance. For his part, Dr. Abdelsattar Qassem, a professor of political science at the university of Al-Najah, deplored the PA and the Egyptian regime for verbally abusing Sheikh Qaradawi. “When the wrongdoers commit sins against the nation, the families, spouses, daughters and children and slip into the trap of cooperation with the enemies of God, the nation and homeland, they find nothing but to curse themselves by insulting others and cannot escape the disgrace they brought upon themselves except through accusing others,” Dr. Qassem stressed in a press release. In a separate incident, Mahmoud Abbas’s militias kidnapped Friday 15 Palestinian citizens affiliated with Hamas in the districts of Qalqiliya, Nablus, Al-Khalil, Tulkarem and Tubas and summoned many others because of their rejection to insult Qaradawi. NABLUS, (PIC)– In an ominous sign indicating that a fresh cycle of bloodshed may be in the offing in the West Bank, Israeli occupation forces on Saturday murdered in cold blood three Palestinians in the city of Nablus, shuttering a relative calm lasting for several months. Three more Palestinians youths were killed Saturday morning in the northern Gaza Strip as they were reportedly walking by a security wall. The Israeli army said the three were suspected of trying to infiltrate the borders between the Gaza Strip and the Israeli territories occupied in 1948. 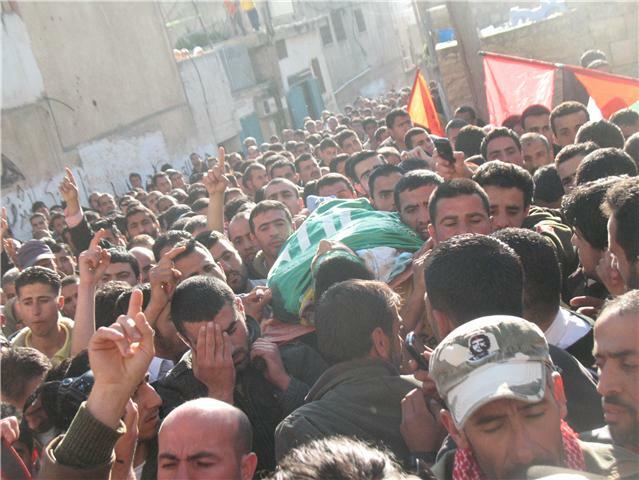 In Nablus where security coordination between the Palestinian Authority (PA) and the Israeli army was often described as exemplary, Israeli forces, backed by armored vehicles, killed three Fatah members, including an officer in the Preventive Security Force (PSF) who had been pardoned by the Shin Beth, Israel’s chief domestic security agency. 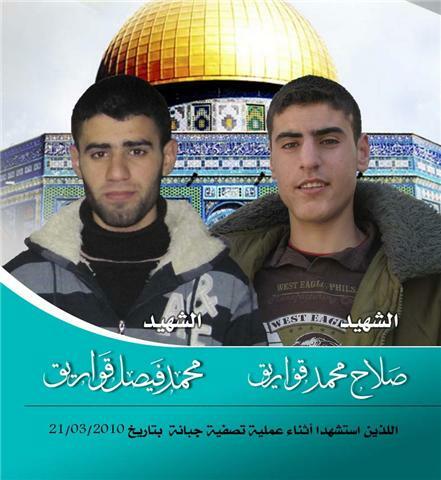 The three are Adnan Subh, 33, Raed Abdul Jabbar al-Sarkaji, 38, and Ghassan Abu Sharkh, a brother of Nayef Abu Sharkh, the former head of the al-Aqsa Martyrs’ Brigades in Nablus who was killed several years ago. Eyewitnesses said a large number of Israeli military vehicles stormed the city of Nablus, (pop.150,000) shortly before dawn, placing the town under curfew. The troops then surrounded a residential building in the Ras El-Ein neighborhood where Adnan Subh and his family were living. 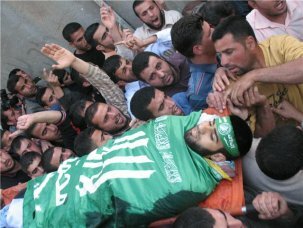 A former member of Fatah’s armed wing, the Aqsa Martyrs Brigades, Subh was shot dead as he emerged unarmed after the forces ordered him to surrender. Similarly, eyewitnesses and relatives reported that the invading forces murdered in cold blood Ra’ed Sarkaji in full view of his wife and children. When his wife sought to shield him, soldiers fired at her feet and legs. The Governor of Nablus, Jibril Bakri, described the Israeli operation as a “full-fledged crime.” He called on “international institutions” to intervene to end the siege clamped down on the Subh family home. An Israeli army spokesman said the three people assassinated were members of the Aqsa Martyrs Brigades who had carried out “terrorist acts” against Israelis and Israeli targets. The three had reportedly been assured by the PA security authorities that they were no longer “wanted” by the Israeli army and that they could resume their normal life. 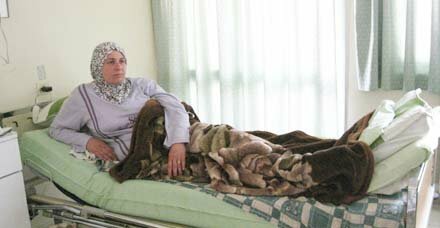 The manner in which the operation was carried out shows that the PA security forces, estimated at 70,000 troops, are completely neutralized whenever Palestinian population centers are invaded by the Israeli army. PA officials repeatedly claimed that the main purpose of national security forces was to protect the interests of the Palestinian people. However, Israeli operations in the heart of Palestinian towns, where thousands of American-trained PA troops are deployed, cause a lot of embarrassment to the PA leadership, especially the western-backed government headed by Salam Fayyad. There are indications that disenchanted Fatah activists might try to avenge the latest killings as the PA regime stands completely powerless to stop the murder of Palestinians by the Israeli army.